Cool, kicky and sporting a two-texture upper, Selah takes you everywhere in style. 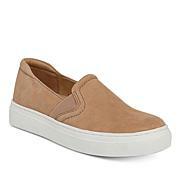 And the slip-on's N5 Contour insole and elastic gore means the getting there is always a comfort-forward experience. 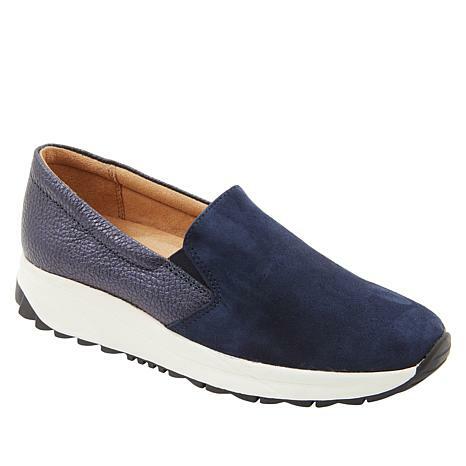 These are very comfortable and lightweight. Since 1927, Naturalizer has been inspiring women around the world to live their lives and love their shoes. Their holistic approach to designing fashionable footwear begins with an exclusive N5 comfort system — five essential features that provide all-day comfort: extra cushioning, breathable linings, balance with every step, flexible soles and lightweight materials. With superlative comfort, trend-right details and timeless colors, it’s easy to see why Naturalizer shoes are a beautiful fit for work, play and every day. Remind me about Naturalizer upcoming shows. 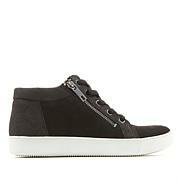 Even casual days can be glamorous when you wear these high-fashion sneakers from Anne Klein. 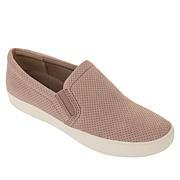 A sparkling jeweled ornament on a luxe fabric upper give the effortless slip-on design a fashionable edge. With comfort this chic, you'll make going to the grocery store a stylish event.